1. Why did you decide to work for Rovio? Rovio is undoubtedly one of the most interesting employers even on a global scale at the moment, so when the opportunity came up for me to step in I didn’t think twice about it. The international working environment also matched my degree (International Business and Logistics) really nicely. 2. Why do you like working at Rovio ? I’m a huge fan of the Rovio games, so the product was already familiar to me when I started. The working environment is unlike anything I’ve ever experienced, as most employees are young, efficient and extremely talented in what they do, be it design, programming, sales or even office management. The fact that Rovio is probably the #1 growing Finnish brand right now doesn’t hurt either. 3. What are your main responsibilities and duties? I work with licensing and merchandising Rovio’s consumer products – plush toys, apparel, greetings cards and beverages etc. – processing and producing analytic data for and about sales, new products and contract negotiations. It’s really rewarding work, as I can be a cog in the Angry Birds machinery that helps provide joy to so many kids and adults throughout the world. 4. 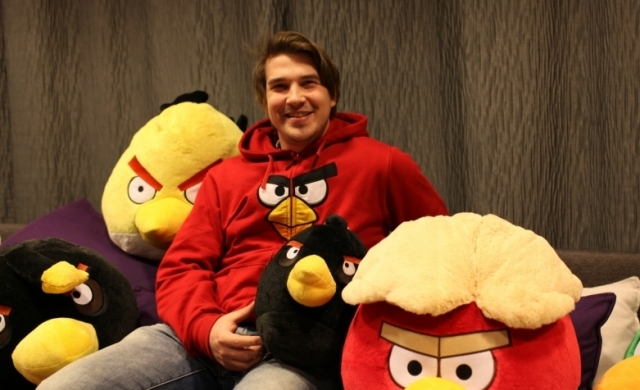 What has been the most amazing experience or day you have had at Rovio? My best experience so far has been a work related trip to Los Angeles, California in December of 2012 after having worked at Rovio for less than three months. Me and my colleague had the opportunity to meet our licensing software service providers and really managed to further our mutual project. It also didn’t hurt to go to California in the middle of the Finnish winter! Additionally, even a routine day at the Rovio office can be a blast – you never know what the day can bring. It was quite an unexpected opportunity, which I could not miss. My fellow classmates recommended me for a job at Rovio, to help them out with a licensing system launch. Then in couple of days I was invited for the interview, and already joined the team in a week. That was a pure luck! 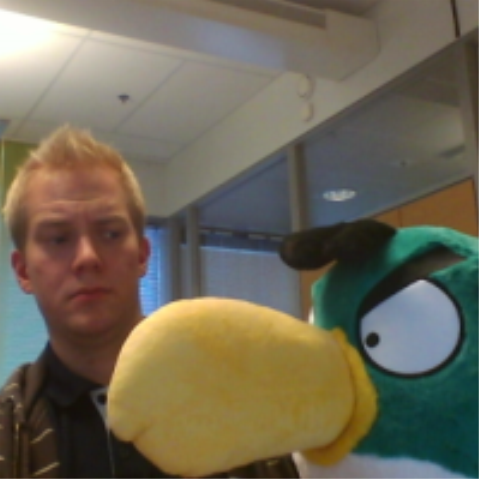 I can hardly compare working at Rovio to any other work experience I had before. First of all, there is a great spirit in the company, all the employees are truly devoted to the Angry Birds and the brand. Therefore I’d say a cool corporate culture and a great amount of challenging work. My main duties at the moment – making sure we have a particular data for the licensing project and making this data work in favour of the Financial unit. Meanwhile, a great time of my work I spend on communication regarding the project with the licensees from various parts of the world, such as a great numbers of European countries, Russia, Australia, Mexico and Japan. In Spring 2012 I was searching for a summer job and noticed that Rovio had plenty of interesting entry-level summer trainee positions. I’ve been a passionate gamer all through my life and could not think a better place to work than Rovio. I am also interested in all things finance. It seems that the best, most brilliant people I’ve come across in my life gather at this complex for five days a week. Although I am still a junior here I have a good amount of responsibilities and I can see the results of my efforts quickly. At the moment I am working on a project in the licensing unit by making sure all the financial requirements are met, so I spend my days inputting and analyzing large amounts of data. On top of the project I also make sure we get the right amount of money on time from our hundreds of licensees around the world. It’s a healthy mix of communications, big calculations and data analysis. 4. 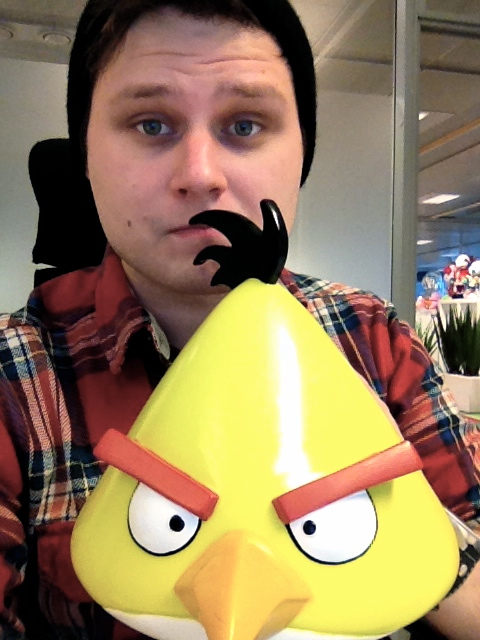 What are the most challenging and interesting projects you’ve worked on at Rovio? The project I am currently working on is most definitely the most interesting and challenging project I’ve ever dealt with. The data I work with assists not only finance, but all the business needs of the licensing unit as well. The moment when everything works as intended feels so rewarding. 5. What has been the most amazing experience or day you have had at Rovio? I have had plenty of great days working here at Rovio such as the team building days and all the launch days but I would still rank my best day to be one of the more ordinary days. A particular Friday evening pops into my mind; I had a teleconference to Los Angeles starting at 18.30 pm and thanks to that evening meeting we managed to progress to the next stage on a certain project. When I finally got back home I felt good about the work I had done. We have wonderful young talents in our programmes!